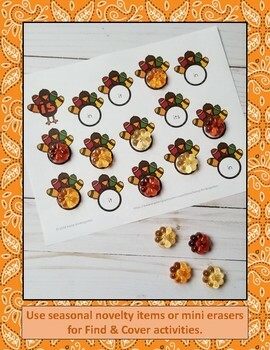 This versatile turkey themed literacy resource provides multiple options for your little learners to practice 40 Pre-Primer sight words for Thanksgiving or at any time during the year. 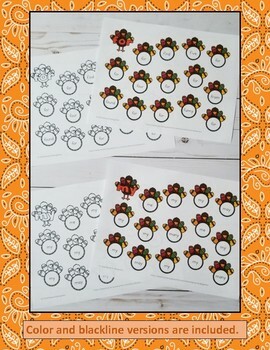 Color and ink saving blackline versions for each page are included. One word is addressed per page. 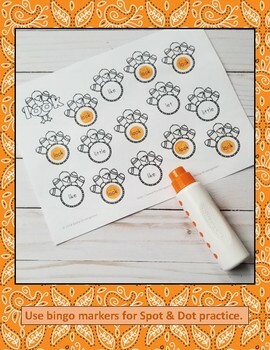 These pages may be used with bingo markers for Spot and Dot practice, with seasonal mini novelty erasers for Read and Cover activities, with pom-poms and tongs to enhance fine motor development, in plastic protector sleeves for dry erase activities, or as no-prep printables. These activities are great for literacy centers, morning tubs, early finishers, informal assessment, RTI, and take home practice. 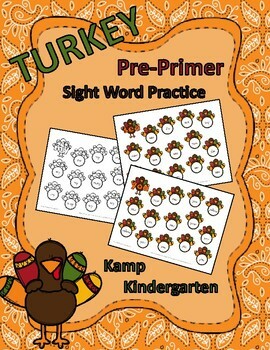 This resource works well with turkey, farm, Thanksgiving, and fall/autumn themes. Thank you for considering this resource. I hope you and your learners enjoy these activities.